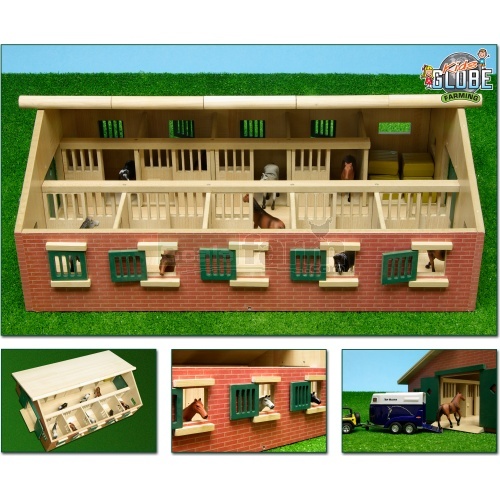 Wooden horse stables with stables for 9 horses and a storage area. Removeable roof for easy access with side doors and windows. Horses and implements shown not included.